It was announced that Saori, the pianist of Sekai no Owari, will release her first book this autumn with Bunshunbunko (a long-established publishing house in Japan). The story of the book will be a youthful story about a girl whose only friend is her piano, but then she is attracted to a young boy who is about to make a band. The title and detail story of the book will be announced later. Moreover, on September 5, ‘Bunshunbunko Fall 100 Best Selection’ campaign will be held throughout the country with Sekai no Owari as their main visual image. The main visual is photographed in the living room and the studio of “Sekaowa House” where they live together when producing the music. 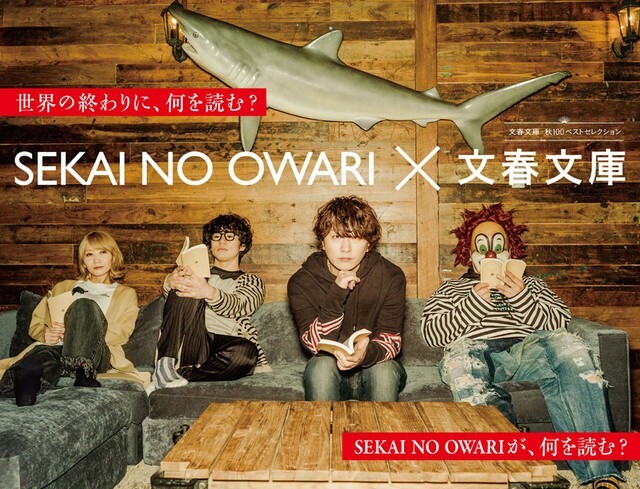 The concept is what SEKAI NO OWARI reads at the end of the world. The campaign will be held from September 5th to November 30th. 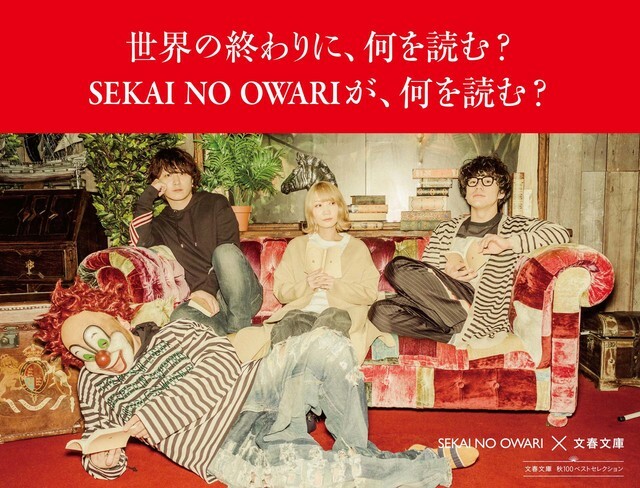 A poster with members’ signature, saori’s book with her sign, and a post card of SEKAI NO OWARI will be prepared as a prize. At the special site of the campaign, the members’ recommendation book contents and promotion videos will be released at 12:00 on September 5th.